There are various supporting technologies that will accelerate the adoption of industrial robotics and improve process controlling and monitoring in IIoT environment. These technologies include hardware, such as sensors and activators, as well as software, such as Big Data Analytics and Artificial Intelligence (AI). While much of the focus is on industrial automation in a manufacturing, there are many industries expected to benefit from IIoT robotics including healthcare, agriculture, and more. In all industry verticals, telerobotics systems transform the business focus towards an Outcome-based Economy. This is an emerging model in which businesses compete based on their ability to deliver measurable results to customers. Such outcomes may range from guaranteed machine up-time on factory floors, actual amounts of energy savings in commercial buildings, guaranteed crop yields from a specific parcel of farmland. This research evaluates the emerging role of Teleoperation and Telerobotics in the era of Industry 4.0. 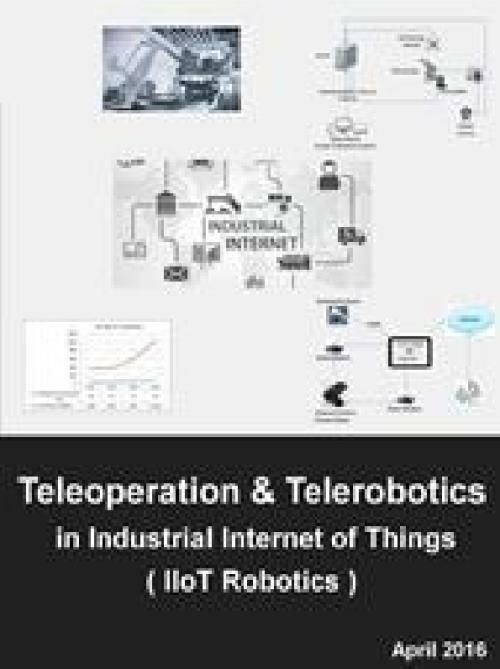 The report analyzes the impact of Teleoperation and Telerobotics solutions in different industry verticals and technology sectors, and provides market forecast for IIoT Teleoperation and Telerobotics systems, services, and solutions for the period of 2016 – 2021.